Some 190 years ago, in a letter to James Madison, Thomas Jefferson wrote, "Our course is a plain one, to pursue what is best, and the public will come right and approve us in the end." Those who love this university as I have come to since becoming its provost a little more than a year ago will appreciate that Jefferson's prophetic observation has been on my mind a good deal this summer. It is worth reflecting on its wisdom as we look at the recent past and think about the challenges and opportunities facing the University of Virginia, and indeed all American colleges and universities, at a time of seemingly seismic changes in the demographics, technology and financial underpinnings of our nation's institutions. 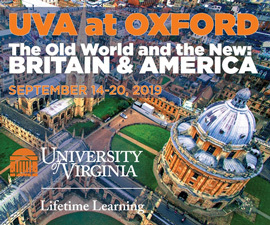 To be sure, the best of American higher education, which by objective measures includes the University of Virginia, remains the envy of the world. But the events of this past June strike at the core of how we view ourselves and challenge us to find the right balance in terms of how we organize our academic and financial infrastructures while retaining what has made Jefferson's university one of the best. At the core of the excellence of this—or any—great university is the faculty. It is the very freedom to ask questions and to challenge conventional wisdom that characterizes the great faculties like ours that has fueled the advances and innovations that have contributed to the strength of our nation in virtually every field of scholarship or endeavor. The best universities are characterized by shared governance and decentralized decision making. Decisions are made by the people who have best expertise and often have firsthand knowledge of situations on the ground. Top-down administrative models are rarely as effective. That does not, of course, mean that leaders of our institutions have little role to play. They have a very large role in helping the faculty shape and define institutional processes and direction, in bringing the reality of external challenges and opportunities to Grounds, in articulating and defending the principles of academic freedom and in encouraging innovation and collaboration across intellectual disciplines. The simple truth is, however, that American colleges and universities are far more decentralized in their decision making than is widely understood by the public or even those who may be closer to higher education. This makes instituting fundamental changes in our infrastructure more complicated than it appears to those less familiar with the culture of the best academic communities. I have been asked often in recent times, "What does a provost do?" There are many quips I use in responding to that question, but in truth, the primary role of the provost is to partner with the deans and faculty to ensure we continually strive for excellence, that we mobilize our human resources in strategic ways and to encourage the faculty to influence the direction of the University. Surely this summer, we have seen the dramatic latent power of the faculty in university governance. I remember well sitting in the May meeting of the Board of Visitors, when the Chair of the Faculty Senate, George Cohen, read his powerful and effective statement. "Faculty want our service to matter; otherwise, we will not commit the time and energy necessary to our tasks," Cohen said. He explained that although the Faculty Senate has little formal authority, its ability to represent and advise had the potential to have an important effect on the University. "The Faculty Senate can provide a meaningful check on the necessary authority the University administration exercises, by raising appropriate questions and serving as a conduit for faculty concerns," he said. "The administration ignores these questions and concerns at its peril, as I believe our current team well appreciates." Faculty have the ability to come together and speak with one powerful voice when an issue of true institutional significance is on the table. Although many outside the academy see this decentralized form of governance as odd and inefficient, and decidedly unlike the more top-down process used by traditional businesses, it is structured to ensure that the pursuit of "what is best" at Jefferson's university is enabled by the thoughtful and high-quality faculty discourse that manifested itself this summer. Lest one have any doubts about the importance of faculty governance in the academic and financial strength of the University of Virginia beyond the ivory tower, it is instructive to read the June 28 report released by Moody's called "Virginia Dispute Highlights Governance Stress and Economic Threats Facing US Higher Education." 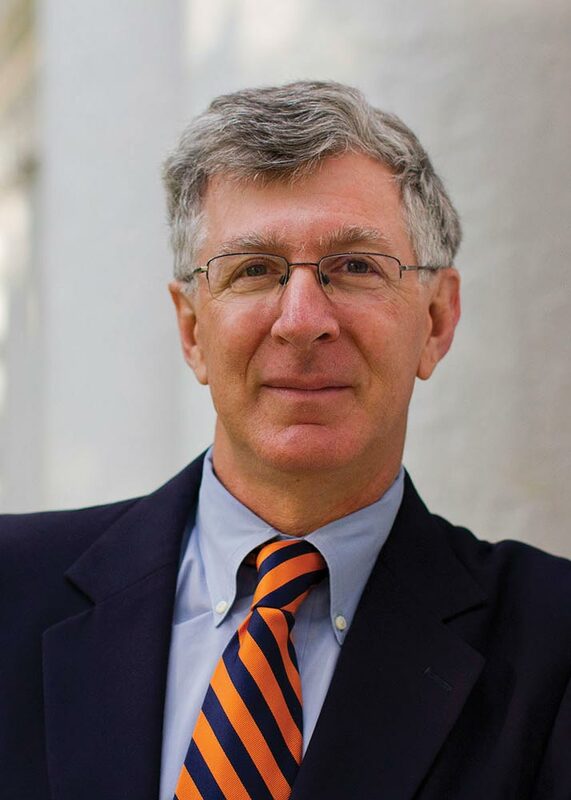 The report stated, "While UVA's reputation temporarily suffered from these events, the final resolution affirms the stability of the university's faculty-centric governance model that will allow it to continue to effectively compete with the nation's leading universities." The report suggested that the events of June highlight "the stabilizing effects of the counterintuitive 'shared governance' model." 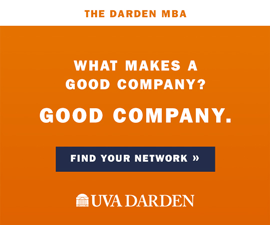 Unlike in top-down corporations or even democratically elected governments, university decision making is shared among administrators, boards and faculty, and even alumni, students and donors. Moody's got it right and I suspect Jefferson would agree.